07 Aug Roshi’s Breakfast bowl! Recently I have been on a cleanse and one of the things I LOVE most about cleansing is how creative you can get in the kitchen. So I came up with this breakfast bowl combo and absolutely love it. Its now one of my weekly go-to breakfasts. If possible please try use organic, seasonal vegetables and pasteurised organic eggs. Boil water in a small pot and poach 2 eggs. The easiest way to poach is to bring water to boil, then turn down the heat and simmer. Drop 2 eggs into a cup then with a spoon make a whirl pool with the water, whilst the water is swirling gently drop the 2 eggs in. Leave alone for 5 minutes and then remove (perfection). 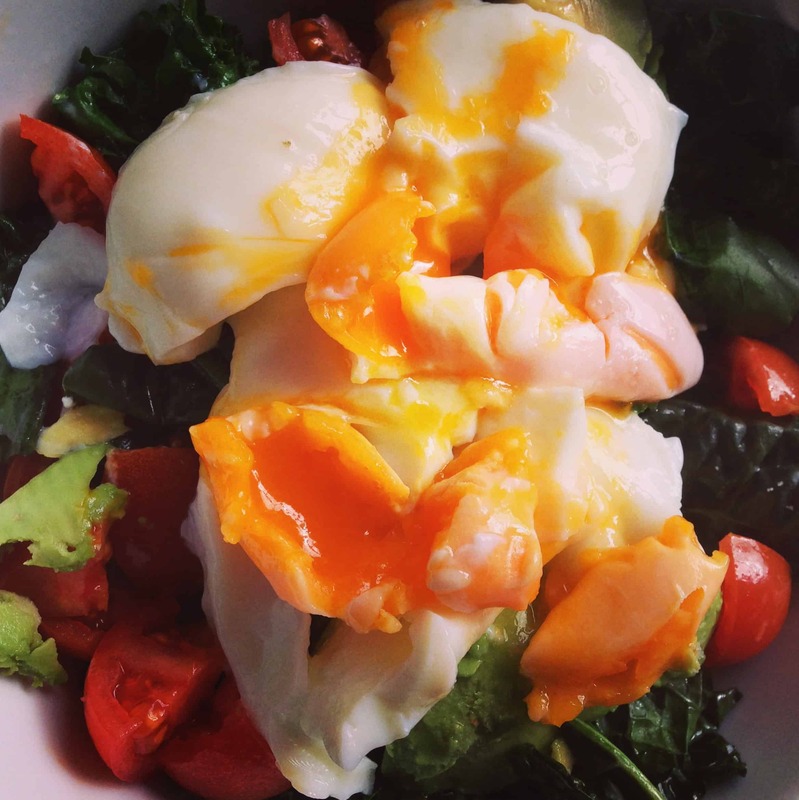 Place the greens in a bowl add in chopped tomato and avocado, drizzle with olive oil, lemon, sea salt and pepper, place the poached eggs on top. YUM! Definitely try this sweetie you won’t regret it. Feel free to share below your favourite breakfast recipes.